By popular demand (thanks! ), I’m holding a seminar February 15th CHANGED to February 16th, Wednesday, first come first served, the first new seminar I’ve run since September. This one is going to be different. You can find all the details here: Seminars. It’s at my new office in Irvington, New York (click on the link to see the neat photos). Only 13 people can attend–the whiteboard sessions are designed to be significantly more interactive than my previous seminars. You bring issues or problems or challenges and the group will work through them. I think this is a great setting for anyone familiar with my books who’s trying to get ideas to spread–at work, in an organization, online, offline. 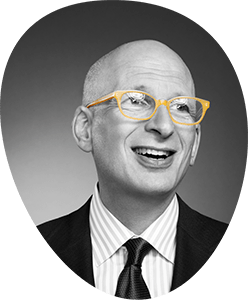 Please read the details at my seminar blog (http://sethgodin.typepad.com/seminars/) and be sure to reserve if you want to come. If it works out, I’ll be running as many as eight this year, but let’s see how this one goes.